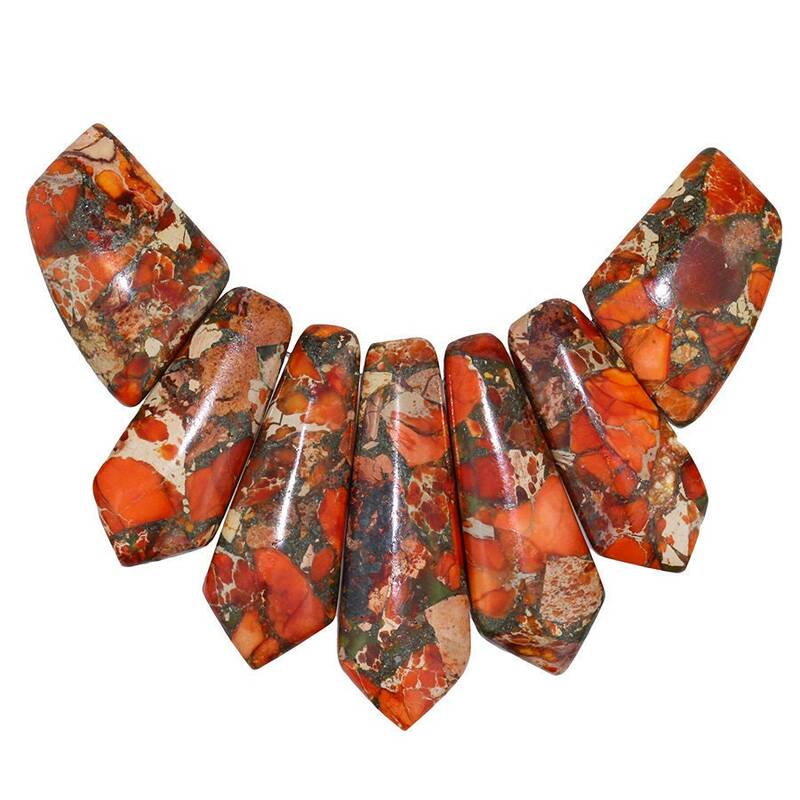 Orange Impression Jasper & Pyrite is a composite made by fusing stone fragments using heat, pressure and a stabilizing agent or resin. The stone fragments remain clearly visible, creating fascinating patterns. Composite beads may also be called "mosaic beads" because of the visible fragments.The stone used to create composite beads is usually the remnants from cutting, making them a great way to incorporate upcycled elements in designs.